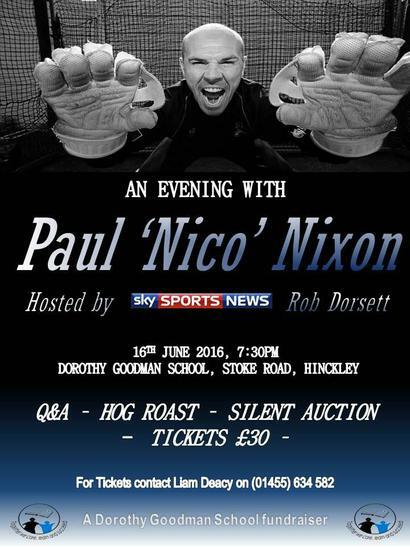 Tickets are now on sale for our Evening with Paul Nixon. Join us on June 16th 2016 at 7:30pm as our ambassador Paul Nixon tells Sky Sports News reporter Rob Dorsett about his 23 year long cricket career with Leicestershire, Kent & England. Tickets are priced at £30 and include a live Q&A, Silent Auction and Hog Roast Dinner all in aid of Dorothy Goodman School. For more information contact Liam Deacy on 01455 634 582.